A platforming game with minigames. I modeled, textured and lit scenes for these minigames in 3dsMax. 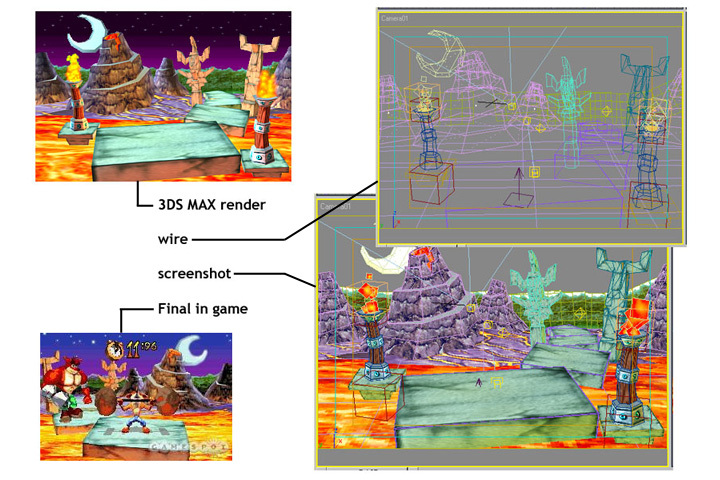 The tricky part was setting up the scene as tiles for GBA.